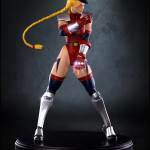 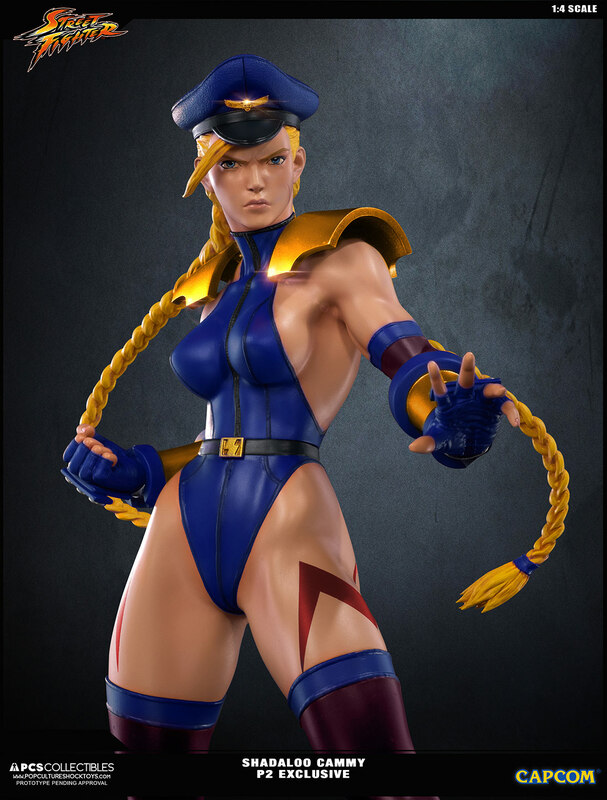 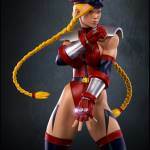 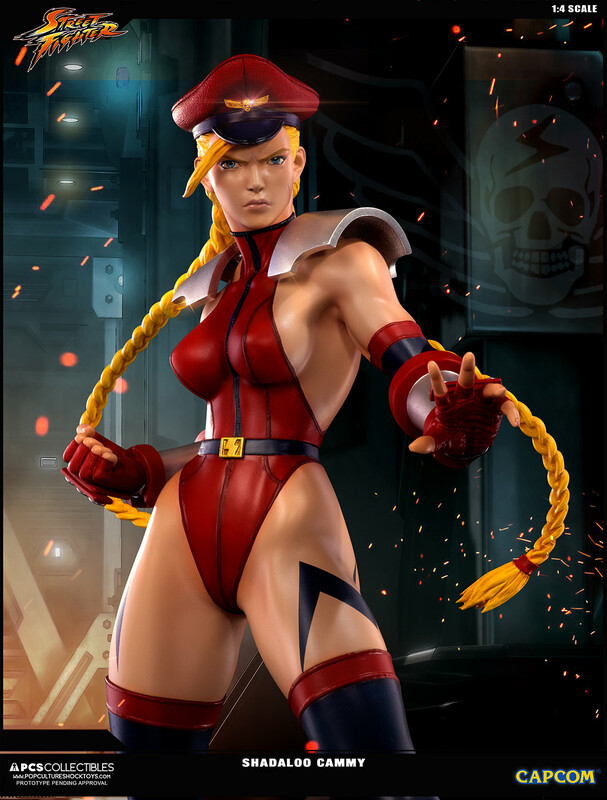 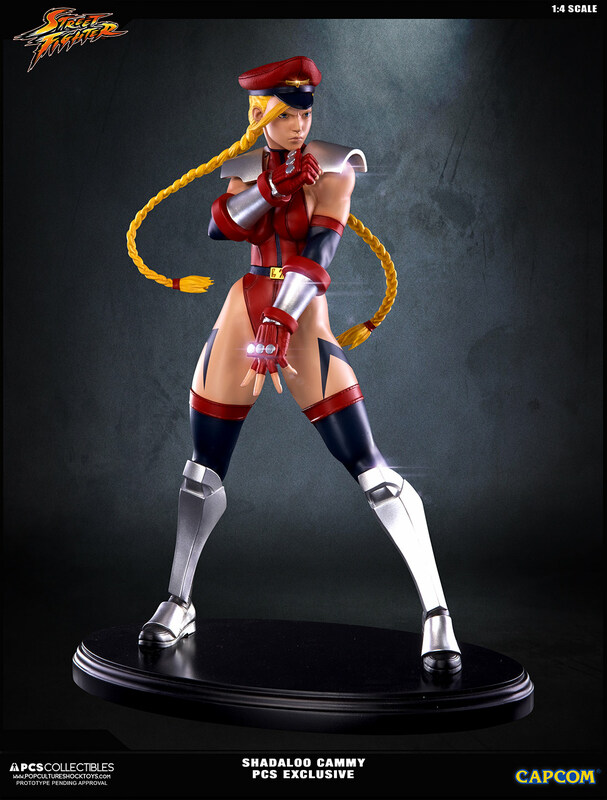 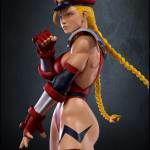 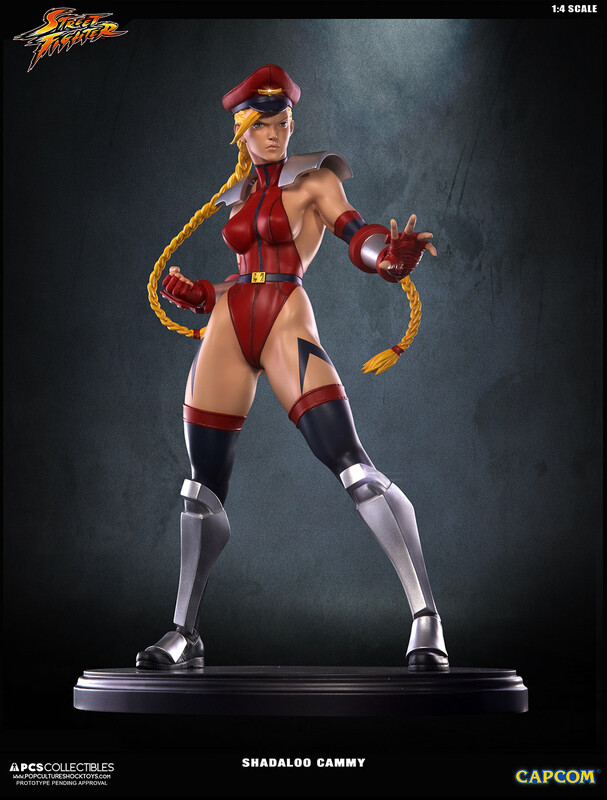 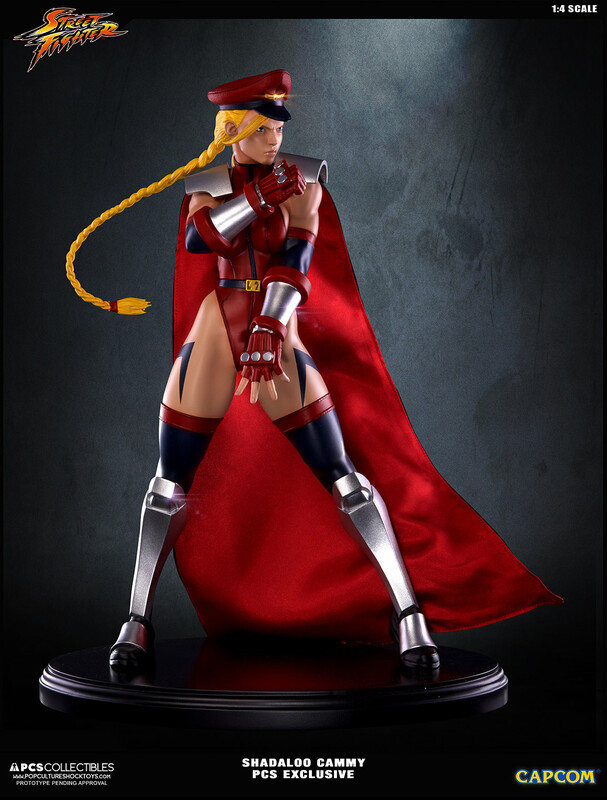 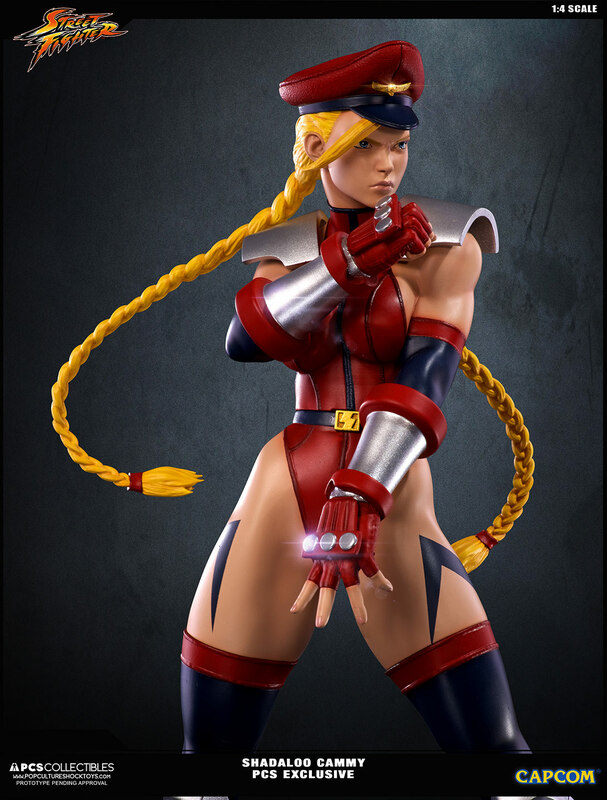 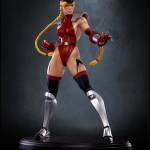 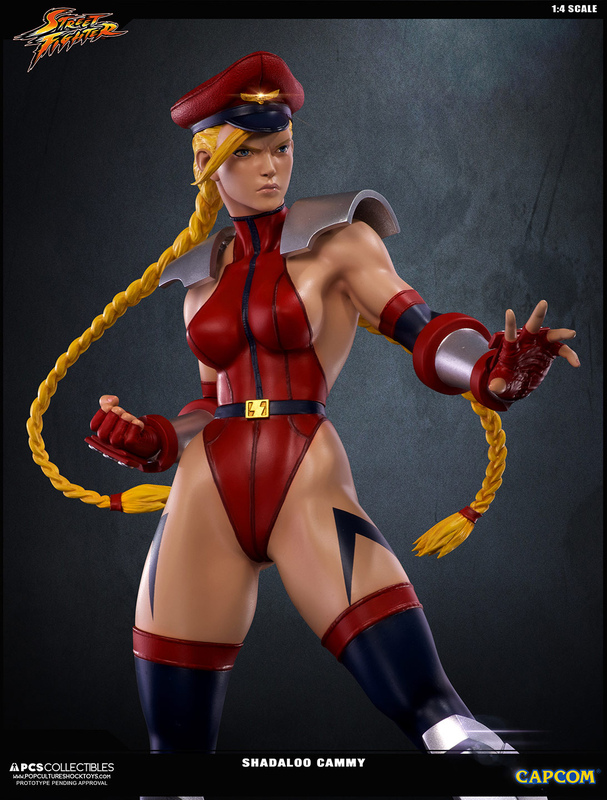 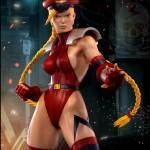 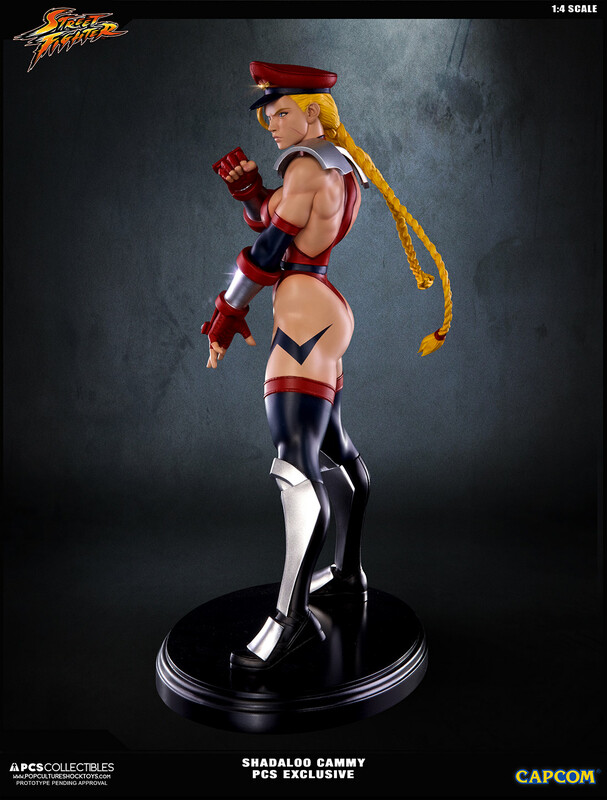 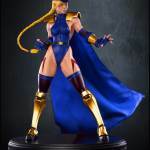 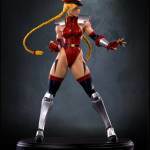 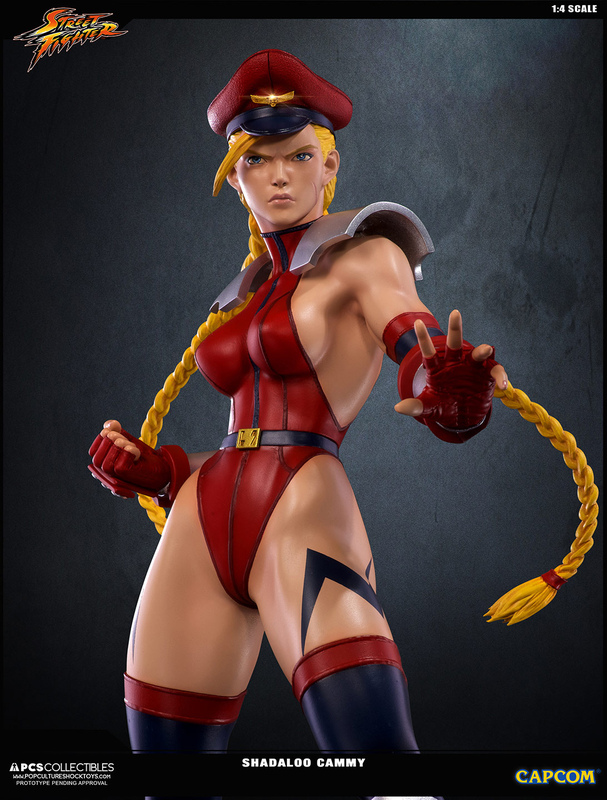 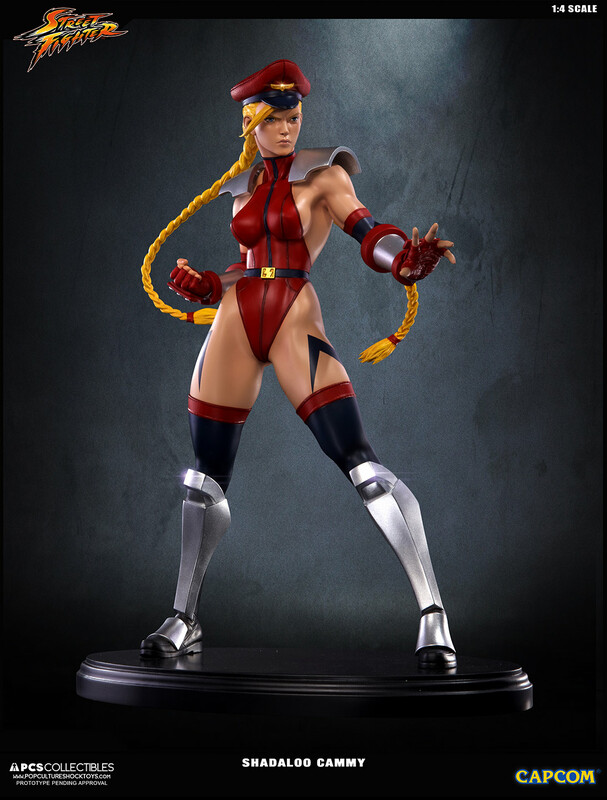 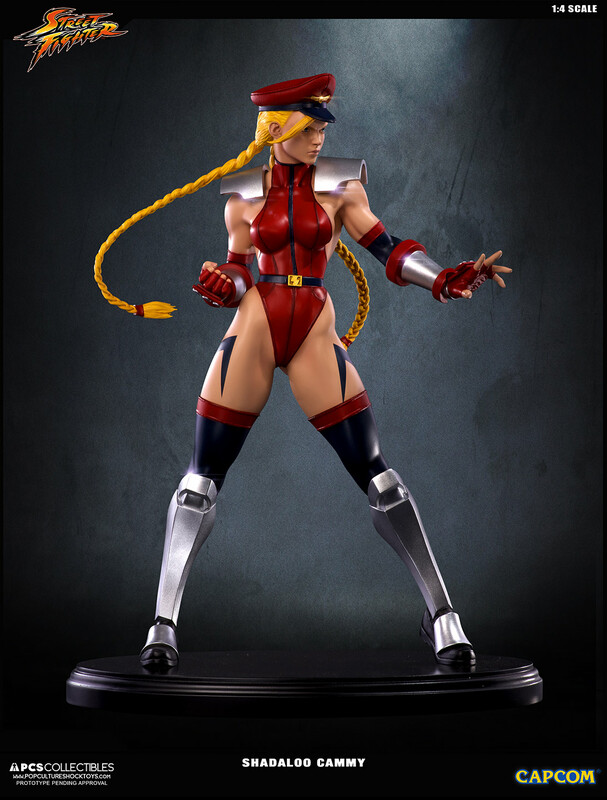 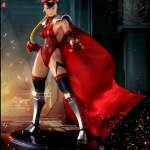 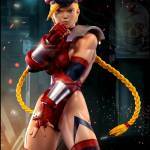 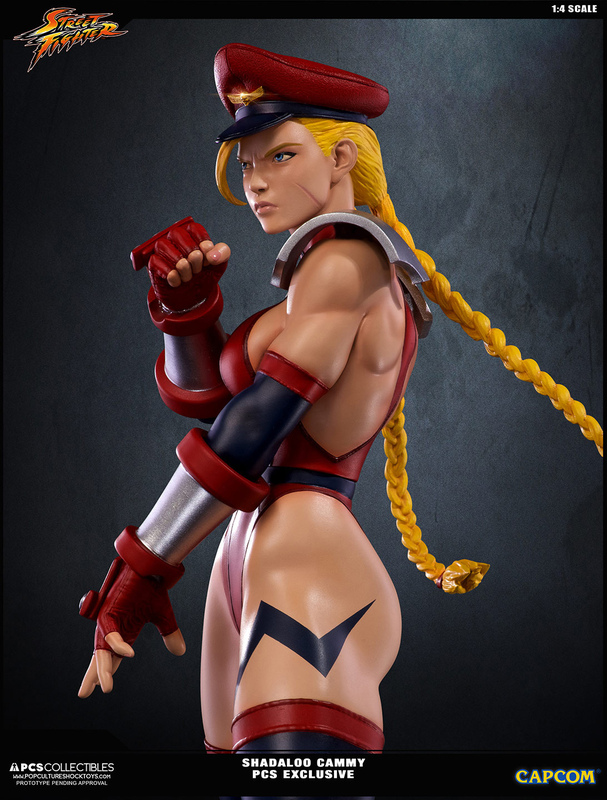 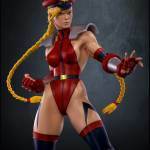 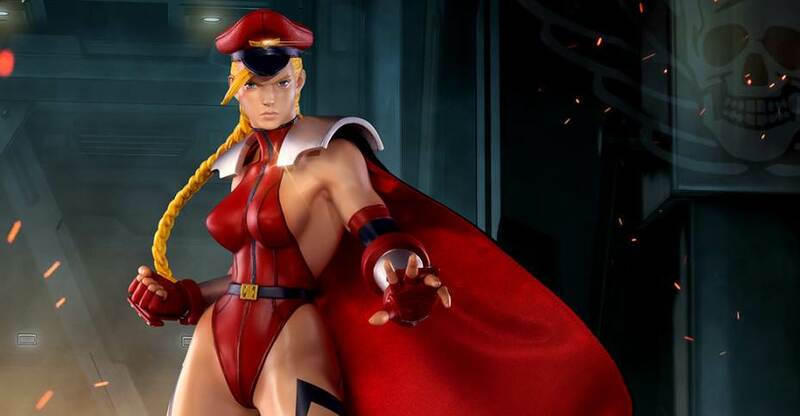 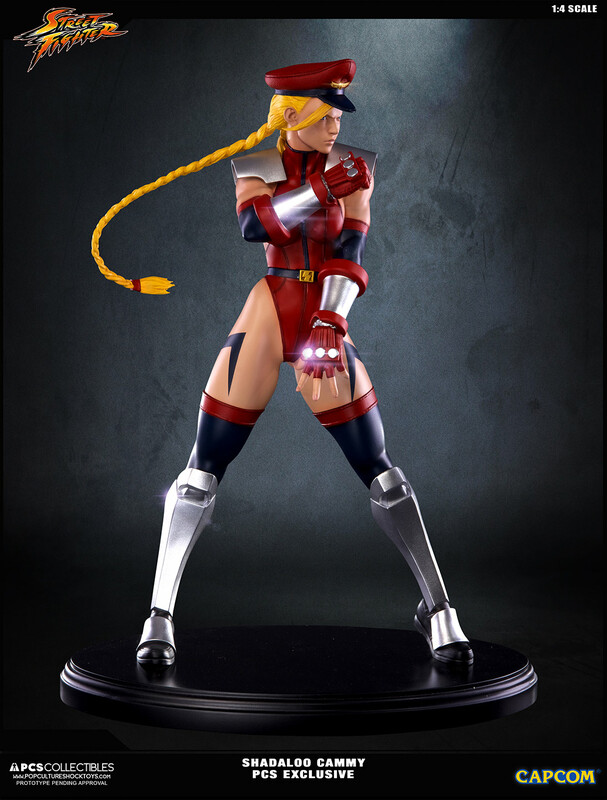 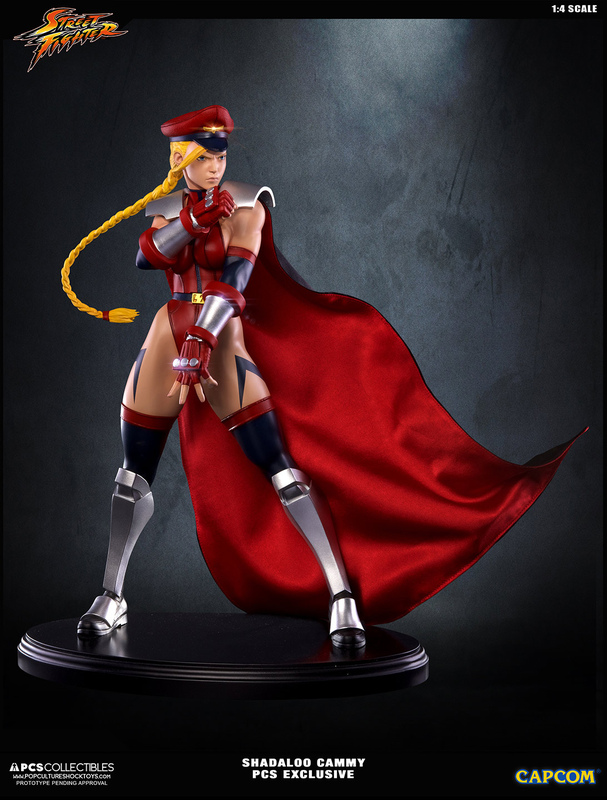 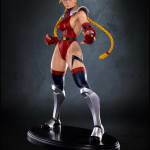 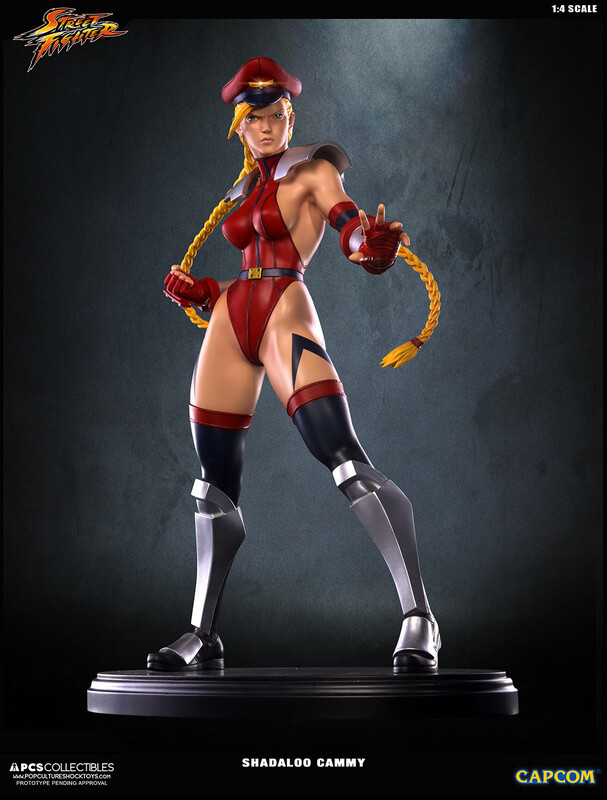 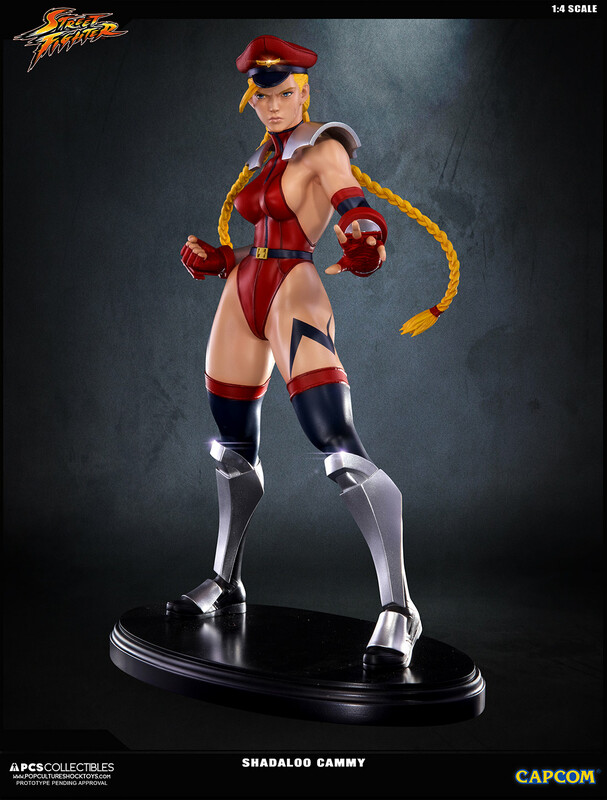 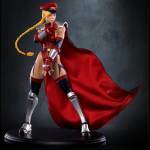 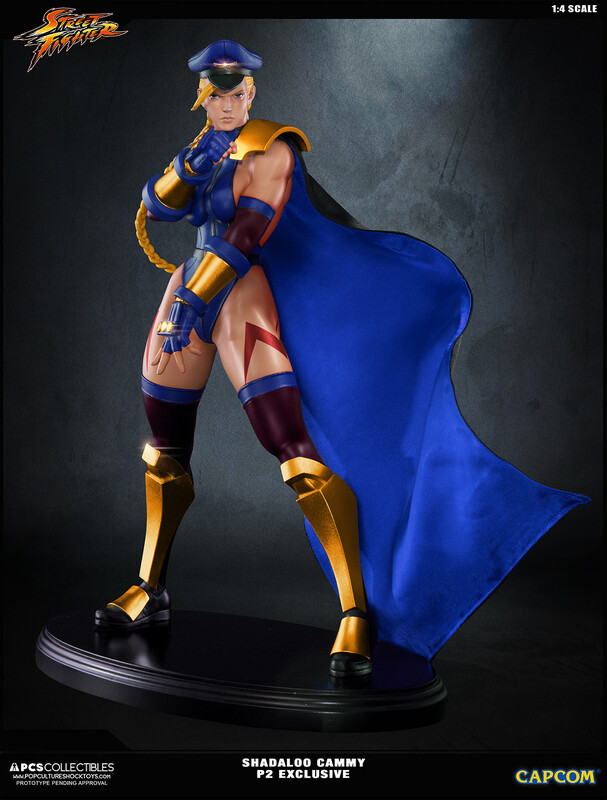 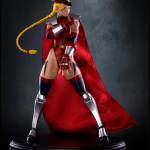 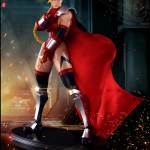 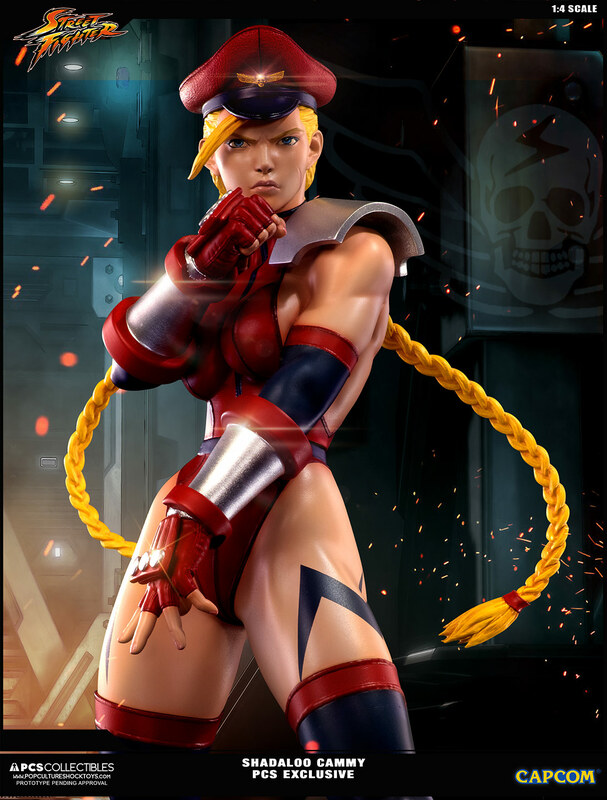 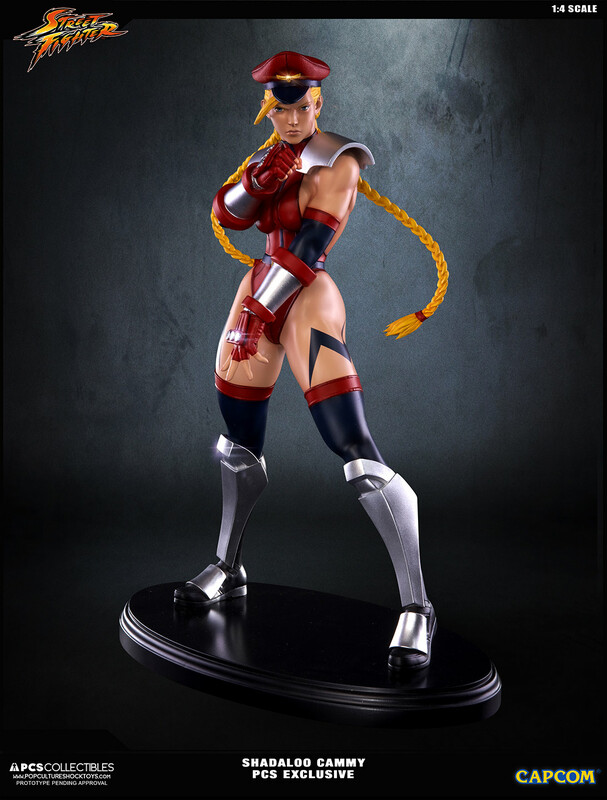 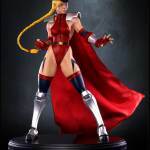 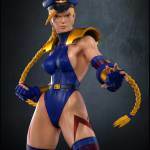 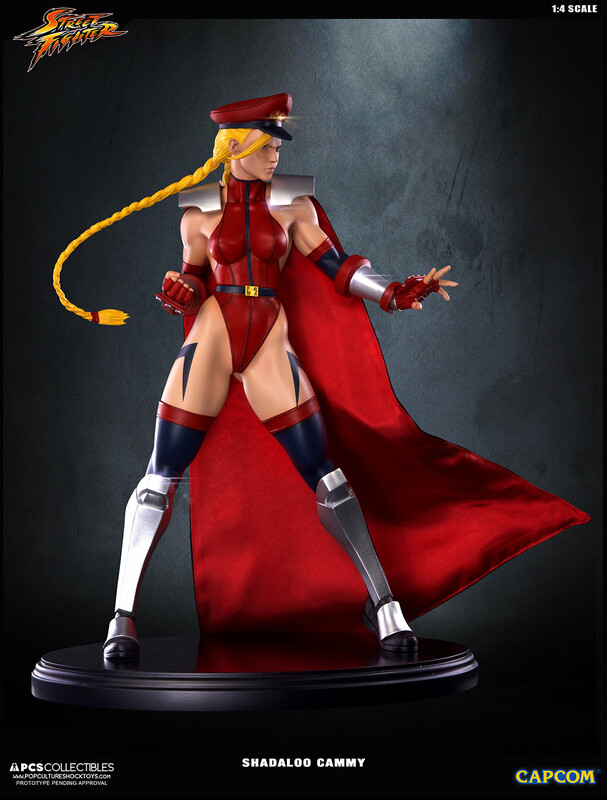 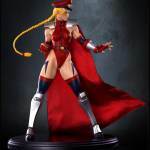 In their latest newsletter, Pop Culture Shock shared a new photos and details for their upcoming Super Street Fighter IV – Shadaloo Cammy 1/4 Scale Statue. 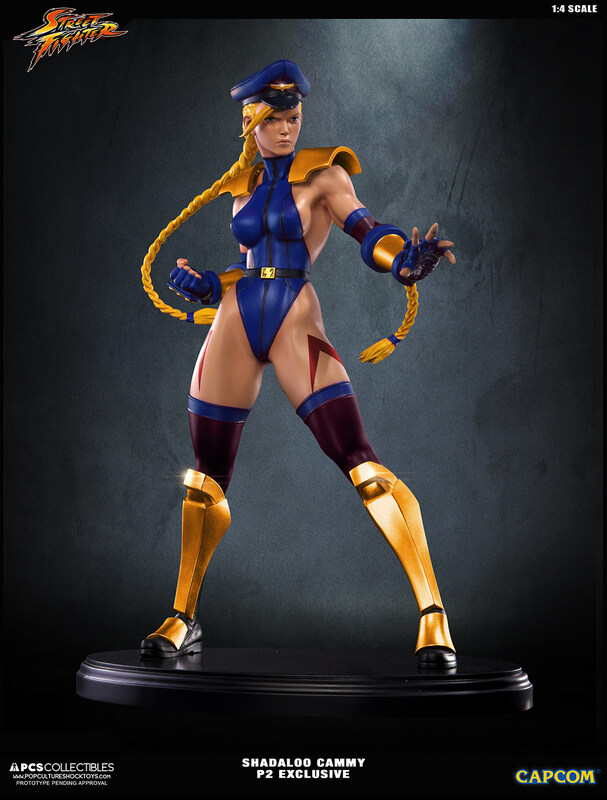 There will be three versions of the statue available, with two of them being PCS Toys Exclusives. 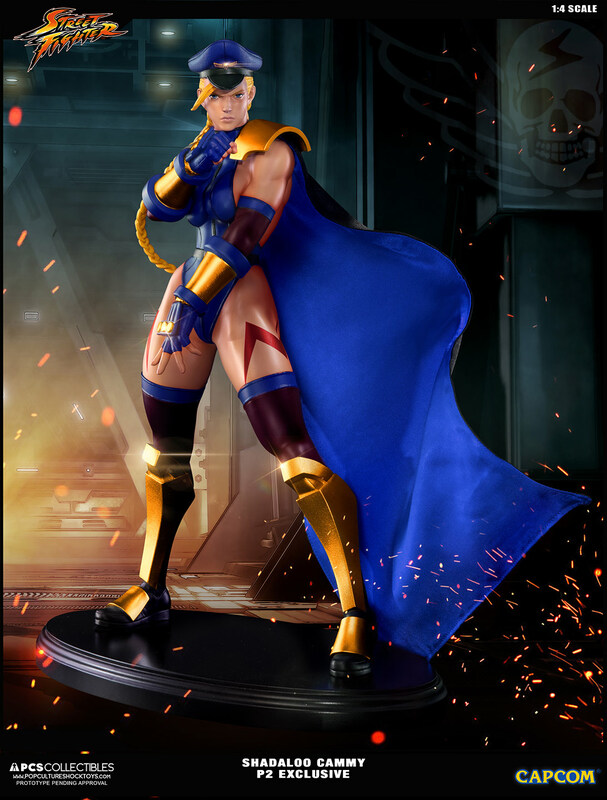 They are offering a standard retail edition, an exclusive with an interchangeable upper body and an exclusive blue version that includes the interchangeable upper body. 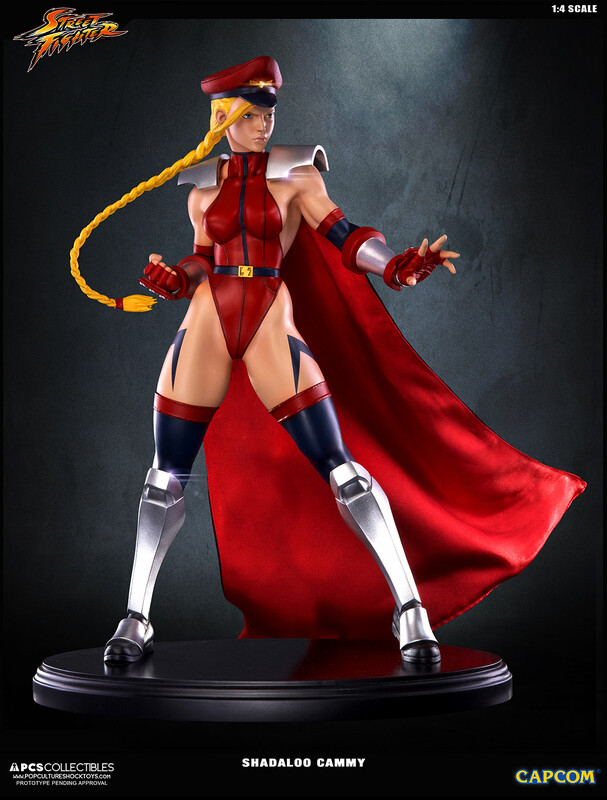 – Includes hand crafted polystone figure with detachable fabric cape as well as Certificate of Authenticity. 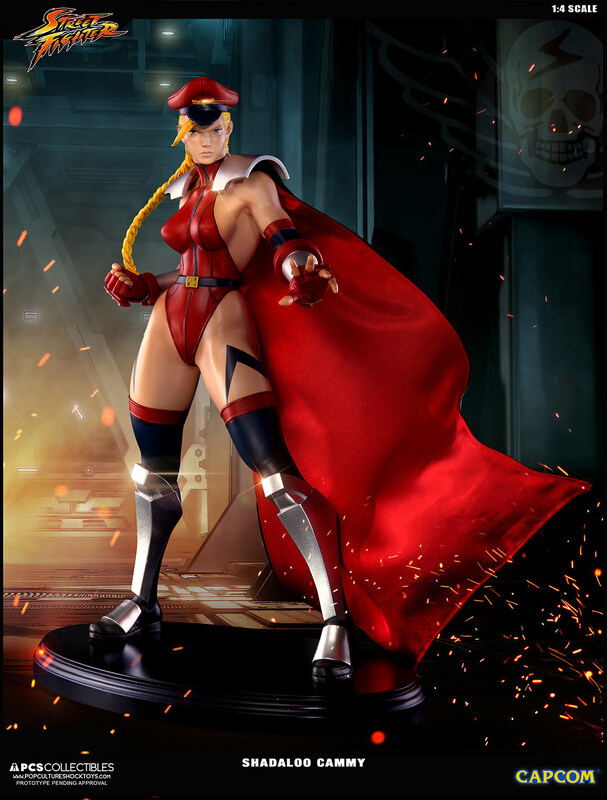 – Includes hand crafted polystone figure with detachable fabric cape, switch-out alternate torso as well as Certificate of Authenticity. 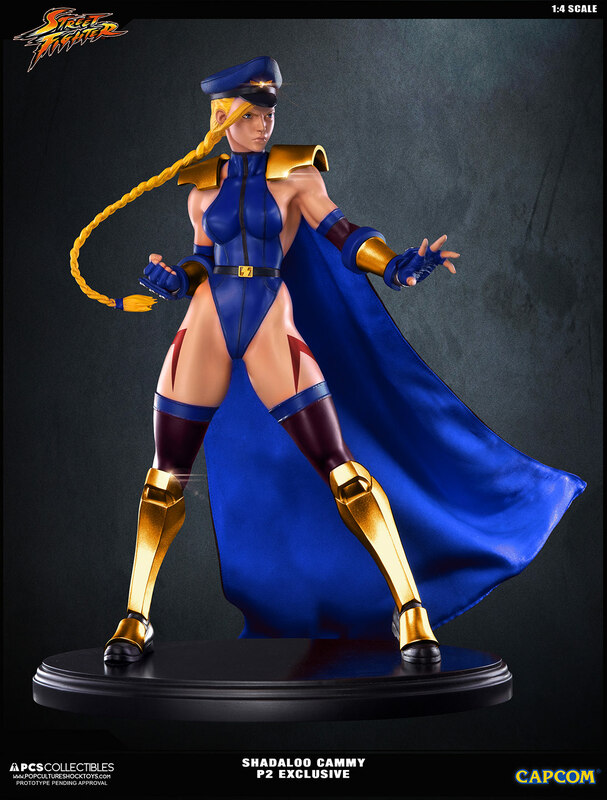 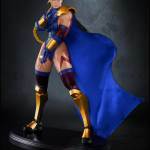 – Includes hand crafted polystone figure with detachable fabric cape and switch-out alternate torso in Player 2 Blue/Gold colors as well as Certificate of Authenticity. 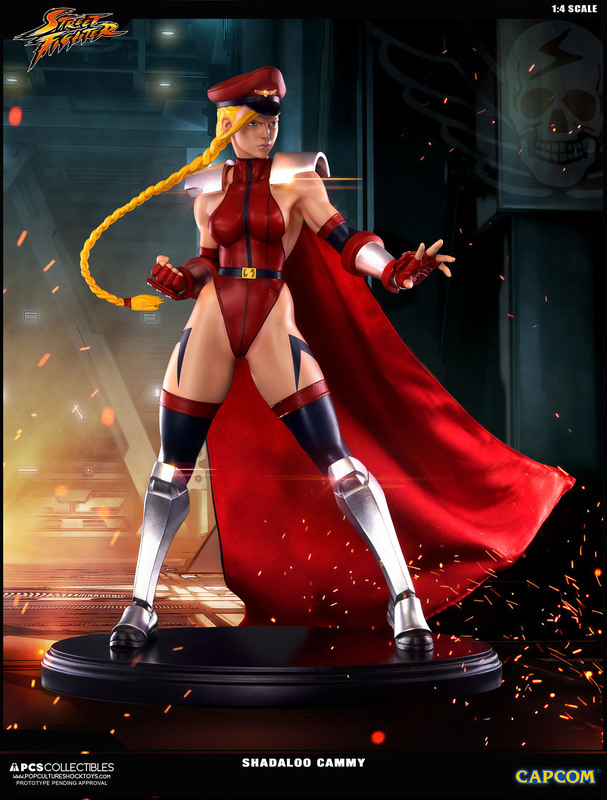 Pre-orders will go live on Monday, April 3rd at 3:00 PM Pacific Time. 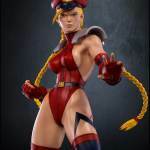 You can see all of the new photos after the jump. 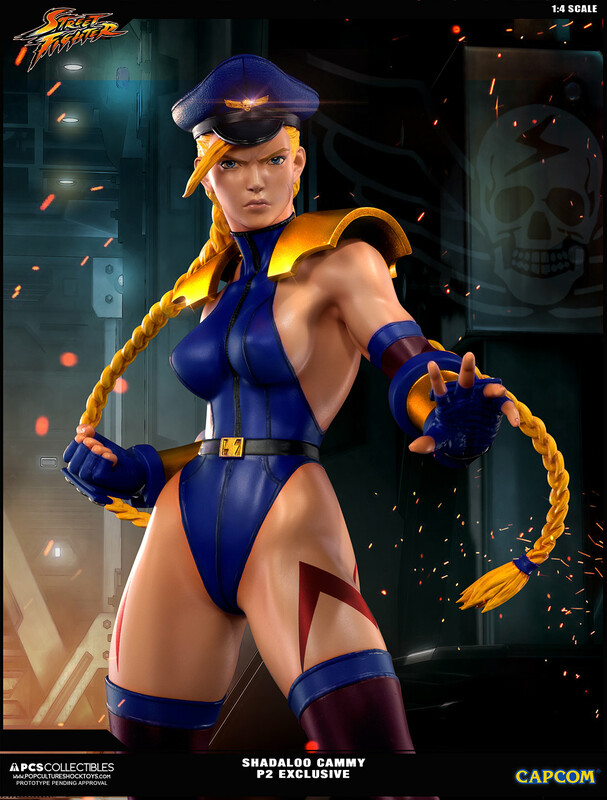 This is an awesome style for her.